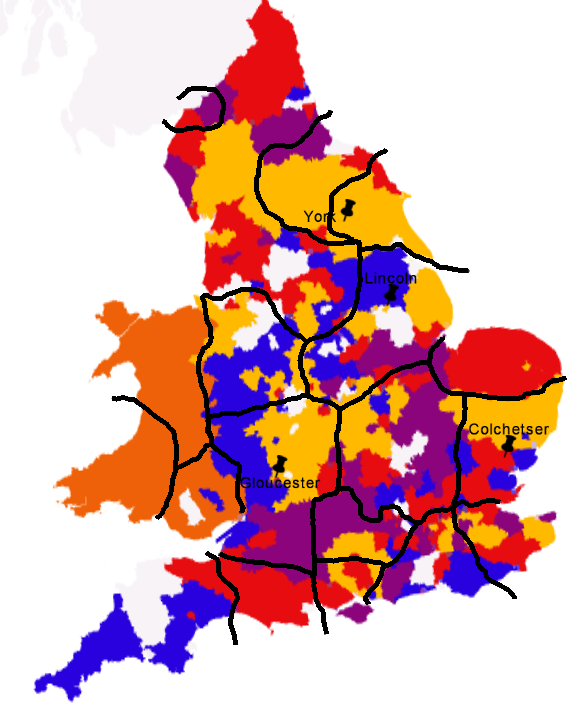 Previously, I ended up with a map of UK districts, coloured by the five groups that Gephi’s modularity routine suggested were present, in the network of districts to districts based on shared patterns in the underlying topics (the topic model generated from the total dump of the Portable Antiquities Scheme database). I asked on twitter if the patterns seemed evocative of anything; Phil Mills suggested that they seemed to match perhaps civitas boundaries. He provided me with an image of those boundaries (thanks Phil!) as well as some kmz files. Below are two images, one with civitas capitals (hand-drawn in by me) and Roman roads. Together, they are evocative. Blocks of colour seem to go very well with civitas boundaries; where blocks of colour overlap those boundaries, they seem to march along well the routes of the roads. And all this from looking at topic models! I think it is getting progessively safer to say that the patterns found in an archaeological database through topic modelling are indeed meaningful on the ground. The factors of government, of identity, of mobility, seem to emerge in the topic model. 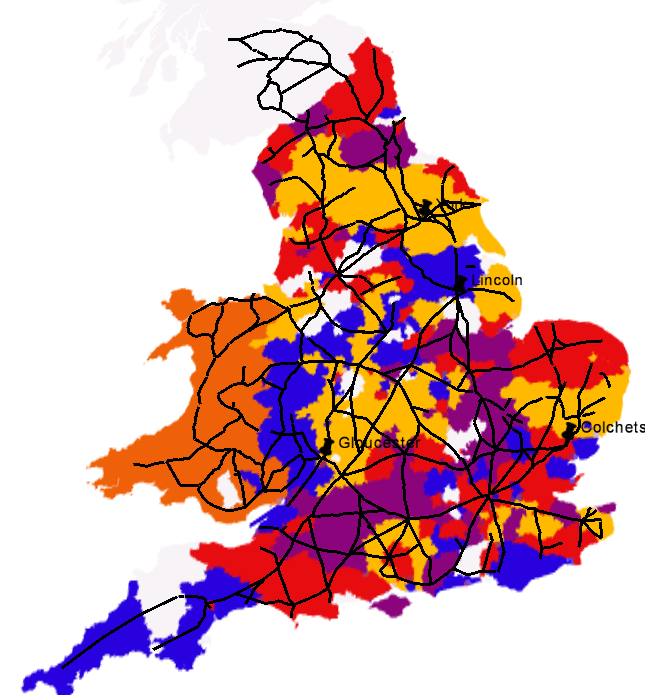 Roman roads overlain on same.